Well, it's Wednesday and it's time for another Fab 'n' Funky Challenge. We have got the most amazing Host this week, and it's Pat. She has picked a theme of 'Christmas'. What a great effort from everyone for last weeks Challenge I thought that they were all fantastic. 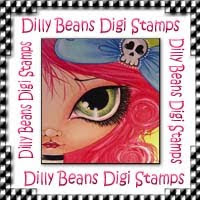 As with everything we must pick a Winner, so please check out the Fab 'n' Funky Challenge blog to find out if it was you. But I must thank all of you for you wonderful creations, they were all fantastic. This is an absolutely gorgeous card Anne-Marie! The beautifully colored image & FAB design with awesome embellies....just FAB!!!!! Thank you so much for having me as Guest Designer...it was FUN! Fabulous card! I love the background paper and those pine tree die cuts. Thanks for sharing with us at Holly Jolly this week. Such Lovely looking card. Stunning work and sweet image. Thanks for joining us over at the Paper shelter this week. This is a really lovely card. I love the cute image. 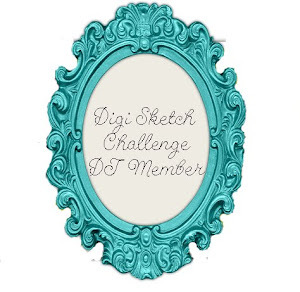 Thank you for joining the challenge at Digi Stamps for Joy. 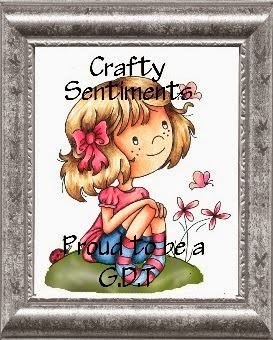 Best wishes Granmargaret, DT. This is a wonderful creation with great attention to detail and perfect for our ‘ANYTHING GOES’ challenge. Thanks for sharing your talent with us. Good luck.